dishwasher safe. RRP £12 from John Lewis. 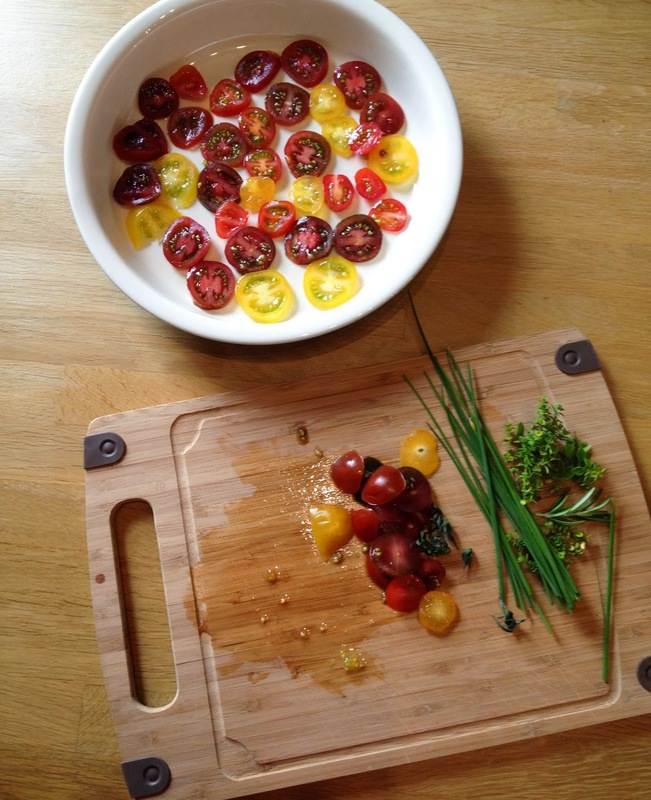 Place all the ingredients into the Oxo Good Grips Salad Shaker and shake until the the mixture emulsifies, then pour over sliced heritage tomatoes, or other salad. 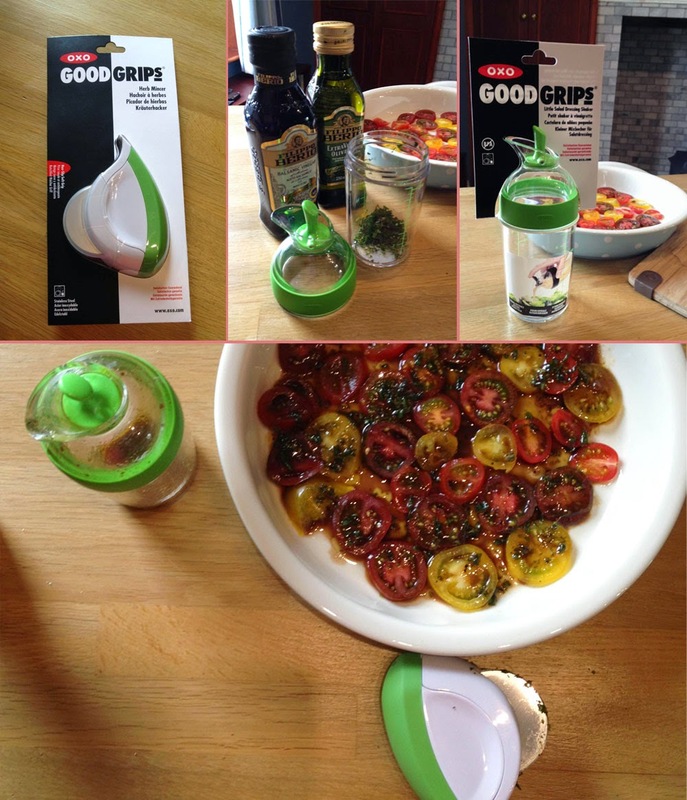 I love fresh herbs in a salad dressing and that herb chopping gadget sounds really nifty! how pretty! the herb mincer does indeed sound like a useful device! Mmmm tasty, and so pretty! Nice review Janice - I now want both of those gadgets. I'd love some decent toms too. Ooooh I like the sound of that salad dressing shaker - plus I have been eyeing their potato peeler too.